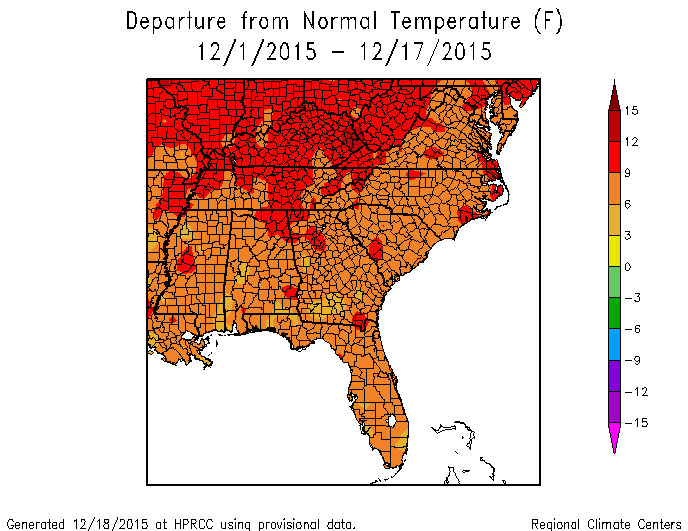 The Southeast has been experiencing well above normal temperatures this December so far. 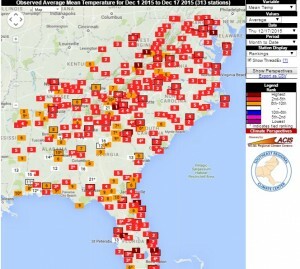 The ranking map from the Southeast Regional Climate Center shows that nearly all of the stations in the Southeast are ranked in the top ten warmest Decembers for the month to date. 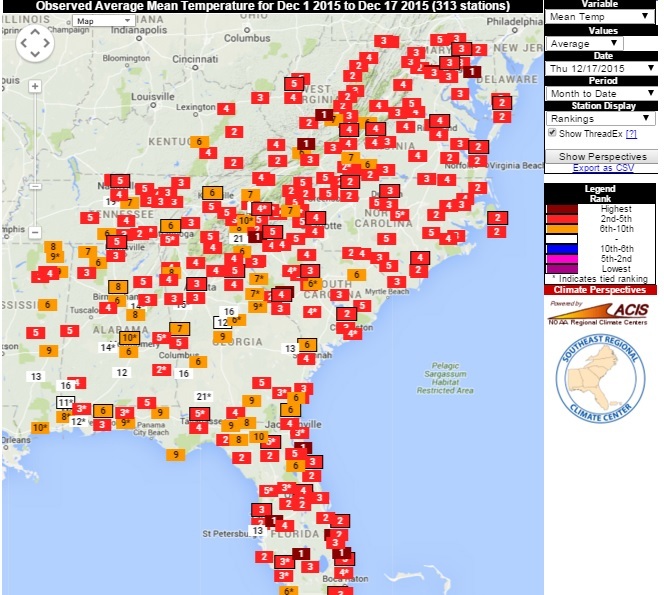 With warm weather expected to return after the current cooler temperatures, we could see record-setting Decembers in some locations. Meanwhile, precipitation across the region has varied quite a bit, with south Florida experiencing precipitation well above normal while other areas have had just a fraction of their normal rainfall this month.